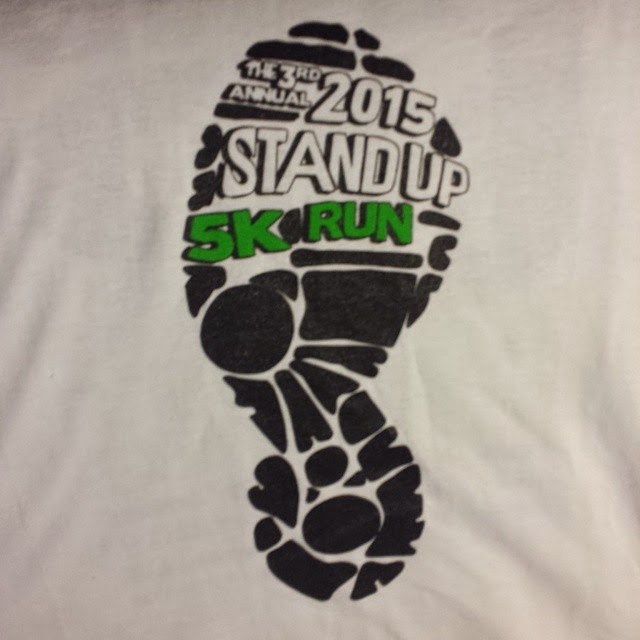 This is the 3rd annual Stand Up 5K. 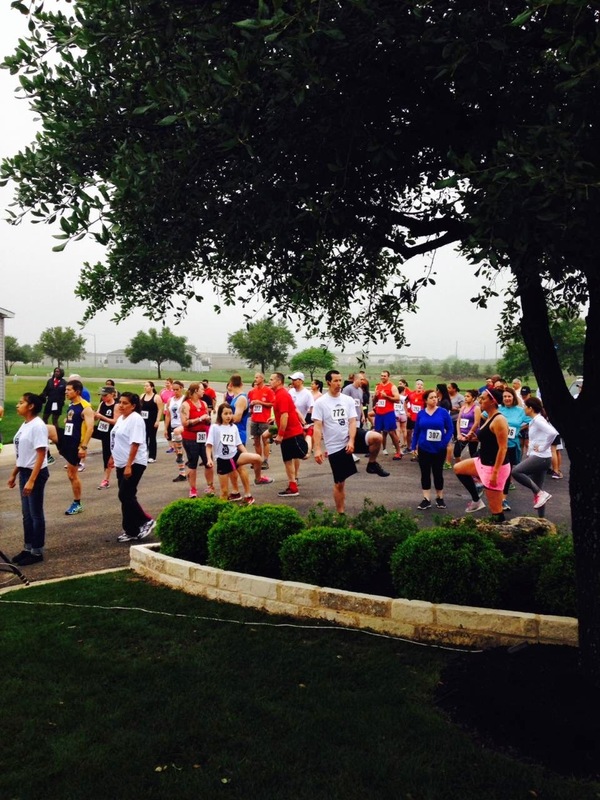 It benefits the Austin area Anti-Defamation League in their efforts to reduce and eventually end bullying in our schools. This is something that is “near and dear,” as they say, to me and my heart. You see, I was bullied when I was young. I wasn’t popular. I wore hand-me-down and thrift shop clothes. I had no idea how to do my hair all fancy like the popular girls did. I didn’t have all the cool new toys. My family wasn’t well off. By the time I was in high school, I had stopped answering to my name because the other kids were always talking to one of the popular girls named Sara in our class, never to me. I had gotten tired of them laughing at me when they hollered out “SARA!” to one of the popular girls and I turned around and they thought it was funny that I could think that they would possibly want to get MY attention and talk to ME. Yea, right. Anyway, I believe in this program and I believe it is important. There was a snafu with the information provided about packet pickup. Packet pickup was available on the Thursday and Friday before the race at the event location, but it was also available at Rogue Running for one day as well, at their downtown location. This was very convenient for me as I work downtown. The email I received said the Rogue pickup was on Friday. Wrong. It was on Thursday. So I had to drive all the way out to the event location and speed back downtown so I wasn’t late for work. Made it with 5 minutes to spare. Ugh. I was less than happy about this. 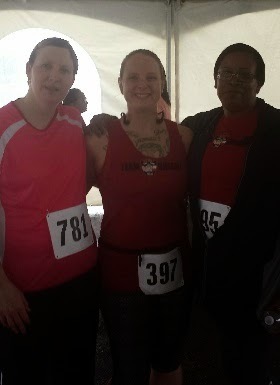 But, as my packet pickup was very hurried as I let the lady know that I was in a race to make it to work on time, I was afraid my name and bib number wouldn’t get properly connected as they were assigning the bibs when you came to pick up your packet. They were not preassigned. Since I was in such a hurry, she just had me write down my name and then scribbled my bib number down next to it. I found out after I got to work that I could have waited until the morning of the event to get my packet. Oh well. 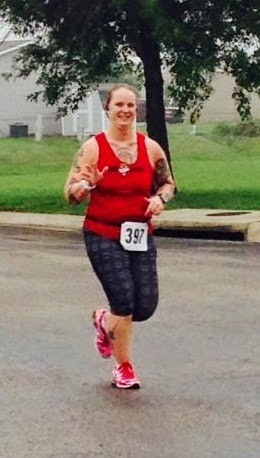 I did really want to do the traditional “flat runner” and I prefer to do those with my bib in the picture. 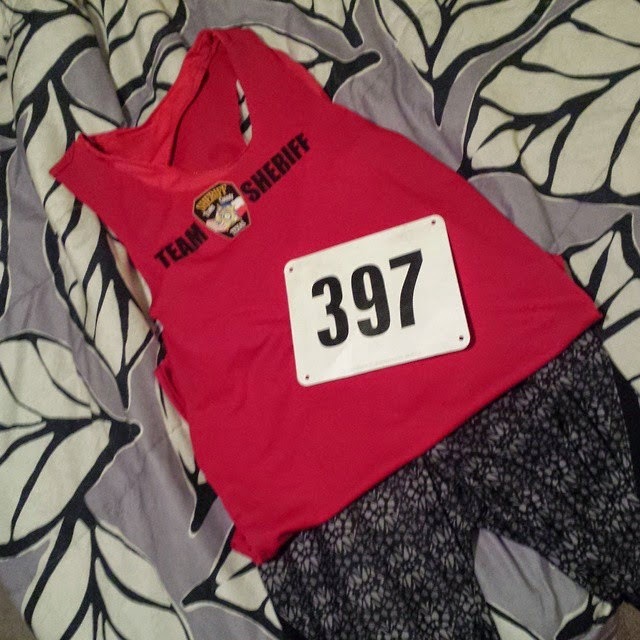 I made one of my "Team Sheriff" tech shirts into a tank top and I like it! I am happy to report that we finally have a logo, after 3 years. Haha. 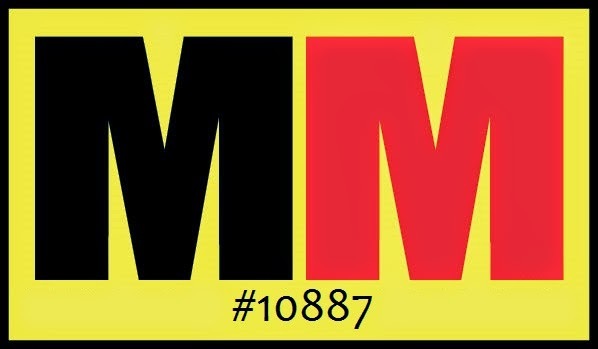 But, I’m really happy with this logo. It’s pretty awesome. A little back story about how I was feeling the morning of the race. Wednesday and Thursday nights I worked 16 hour shifts. So, that’s about 5.5 hours of sleep Thursday morning and Friday morning. Then, Friday night, I had anxiety issues (probably due to too much caffeine) and couldn’t go to sleep so I’m sure I again only got about 5.5 hours of sleep. So, I was pretty tired Saturday morning. I tried and tried to remember if I had eaten a bagel before the Bunny Run a few weeks before but couldn’t remember. So I just didn’t get anything to nosh on pre-race. I figured, it’s just a 5K, I’ll be done in less than half an hour, I don’t need fuel. About 8 minutes before the race was scheduled to start, I started feeling very hungry. Great. I’m not eating an entire bagel that close to the start of a race, even “just a 5K.” I haven’t ever thrown up while running and I’d like to keep it that way, thanks. So I ran hungry. I went into this race hoping to get a new PR. I really wanted to get an official time of 27:30 or faster. I was also hoping to place in my age group this year. As I waited at the start line for the race to start feeling worn down and tired and hungry, I wasn’t sure these would be possible. But dang it, I was going to try! I had set up my music and paused it with my RedFox headphones so all I had to do when the race started was hit the pause button again and it would start playing. I set up my Polar to estimate my finish time for a 5K. As the race started and I crossed over the timing mat, I hit start on my Garmin and on my Polar. Then I hit the pause button on my RedFox and nothing happened. So I hit the skip button and still nothing. Great. As I’m running, I pull my phone out and discover that the music player was completely unselected. So I started it back up and then focused on doing what I could to make a PR happen. For the first about ¾ of a mile, my Polar was estimating a 25-ish minute finish. Awesome! As I got to the 1 mile mark, it was leveling out just shy of 27 minutes. I was cruising along at 8:28 min/mi for the first 2 miles (yep, exact same mile time for the first 2 miles…win!). My third mile was a bit slower at 8:53. The lack of sleep and the hunger were started to wear me down. When my Garmin buzzed on my wrist that I had just hit 3 miles and there was about .1 of a mile to go, I hit the gas. The last .17 of the race was at an 8:20 pace. Boom! I brought it home and finished in 27:14! 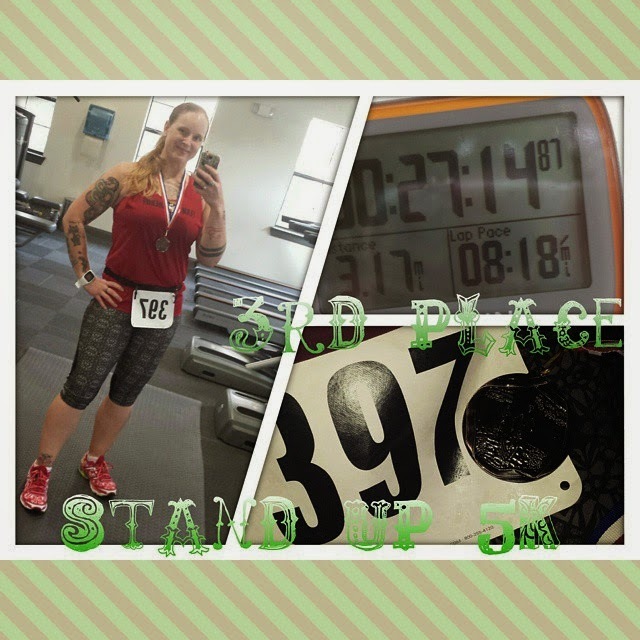 I made goal #1 of a new PR happen! I was so excited! I was also tired, but I don’t believe I was completely spent. I think I could have prepared a little better and pushed myself a little harder and done better. 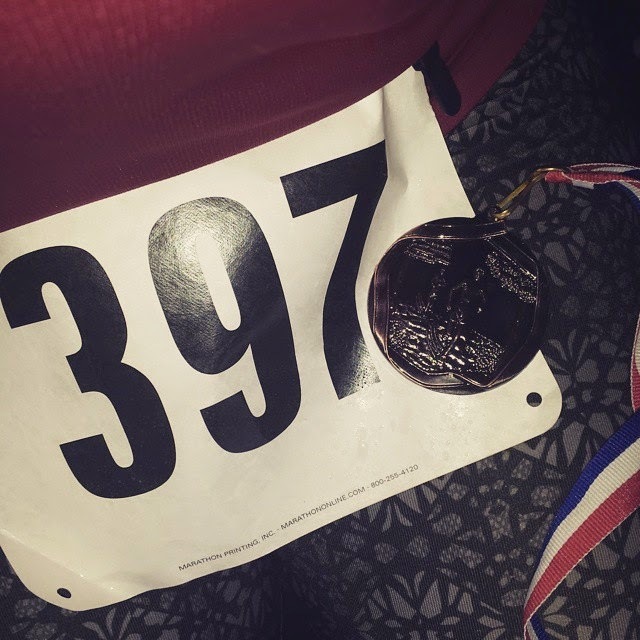 A 5K of 26:something will happen before 2015 is over, I guarantee it. Now to wait for the majority of the runners/walkers to finish so they can have the awards ceremony. I went into the tent to give my name to the officials for the law enforcement runner list and then scoped out the medals table. Hmm…there was suspiciously very few medals on the table. So I looked a little closer. The children’s age groups were normal. 10 and under, and 11-19. After that it got weird. 20-35, 36-50, 50+. What the heck is this? 15 year age groups? I’ve never heard of this before. My friend Ben also ran and was in second overall place (he got beat by a teenager…hehehehe). He and I have run a few of the same races but have yet to get a picture together. Fail. Anyway, we knew he was getting a medal and he asked me “you got a medal coming to you?” I said “I hope so!” Before too long, the awards ceremony was under way. They got to my age group and gender and guess who got 3rd place? Yep, little ol’ me! YAY! With those weird age groups, I’ll happily take a 3rd place award. I do really wish the medal had the awesome new logo on it instead of some generic cross country running scene, but it is inscribed for this race on the reverse side, so that’s okay. Maybe they’ll have customized medals and even bibs next year! I can hope, right? There was an official photographer/videographer, but I’m not sure if or when the photos he took will be posted. Thankfully, there were a few people from my agency out there taking pictures that weren’t running, so I’ve been able to snag their pictures to use here. 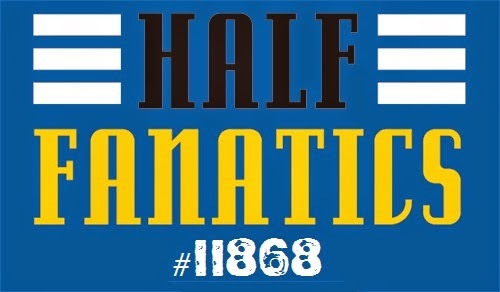 I love this race and look forward to running it every year! They raised $2650 in donations for the ADL and I believe that donation total was matched by one of the sponsoring businesses. That is so awesome! This is honestly one of my favorite races to run.